Over the past 25 years, there have been dramatic changes in the management of diabetes and its complications resulting from the application of evidence from randomized controlled clinical trials showing the efficacy of photocoagulation treatment (e.g., Diabetic Retinopathy Study [DRS], Early Treatment Diabetic Retinopathy Study [ETDRS]), and glycemic and blood pressure control (e.g., Diabetes Control and Complications Trial [DCCT], United Kingdom Prospective Diabetes Study [UKPDS]) (1, 2, 3, 4, 5, 6). Translation of these findings to clinical care have resulted in changes in the incidence and progression of retinopathy and resultant visual loss in persons with diabetes. 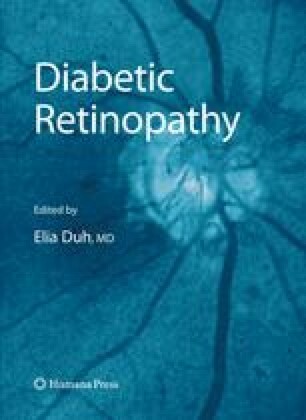 The purpose of this chapter is to review the epidemiology of diabetic retinopathy over this period of change. This chapter was supported by National Institutes of Health grant # EY016379 (R Klein and BEK Klein).